Who says you can’t have a wine party on a school night? 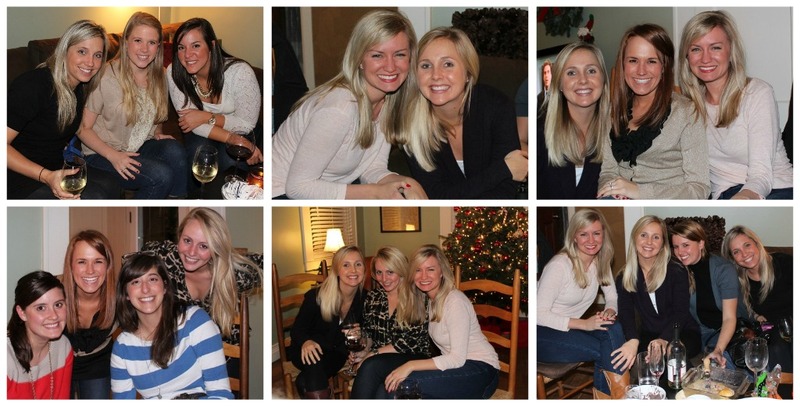 Last night, some of my favorite friends came over for a little Christmas wine party. 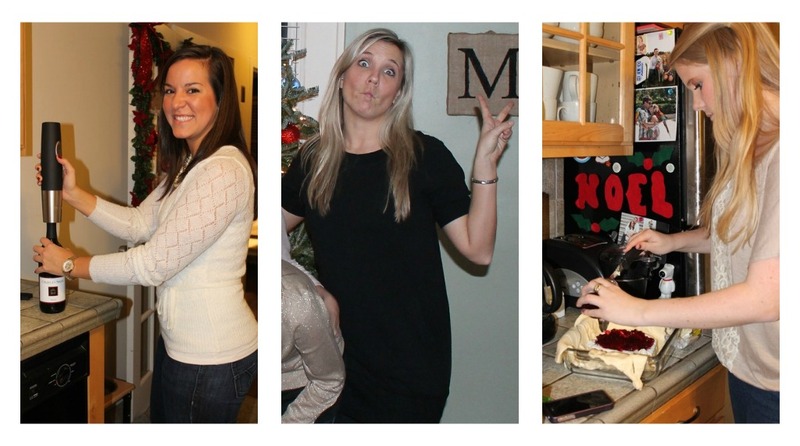 We had such a great time, maybe even a little too much fun for a Monday night…oops! Mel surprised me with a homemade Christmas ornament! Inside is our wedding invitation. So sweet! Using all our fun wedding wine toys…new stemware, decanter, and chiller/warmer! 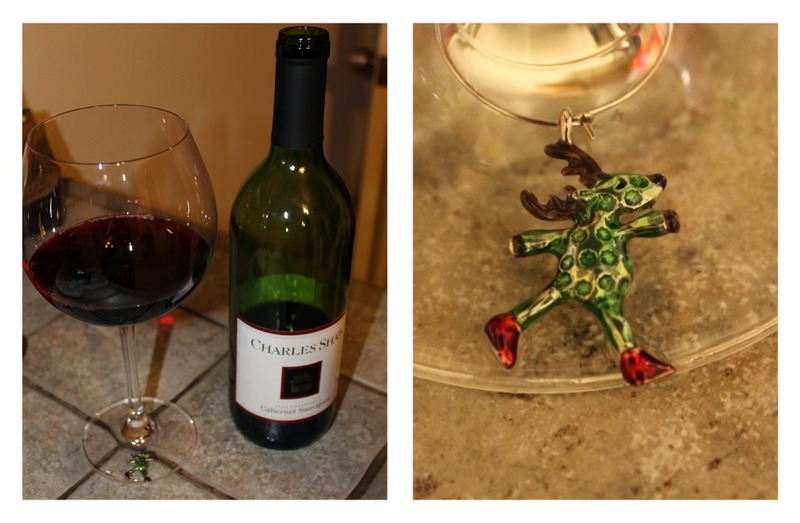 Reindeer Wine Charms…so fun and festive! Looks like a blast! 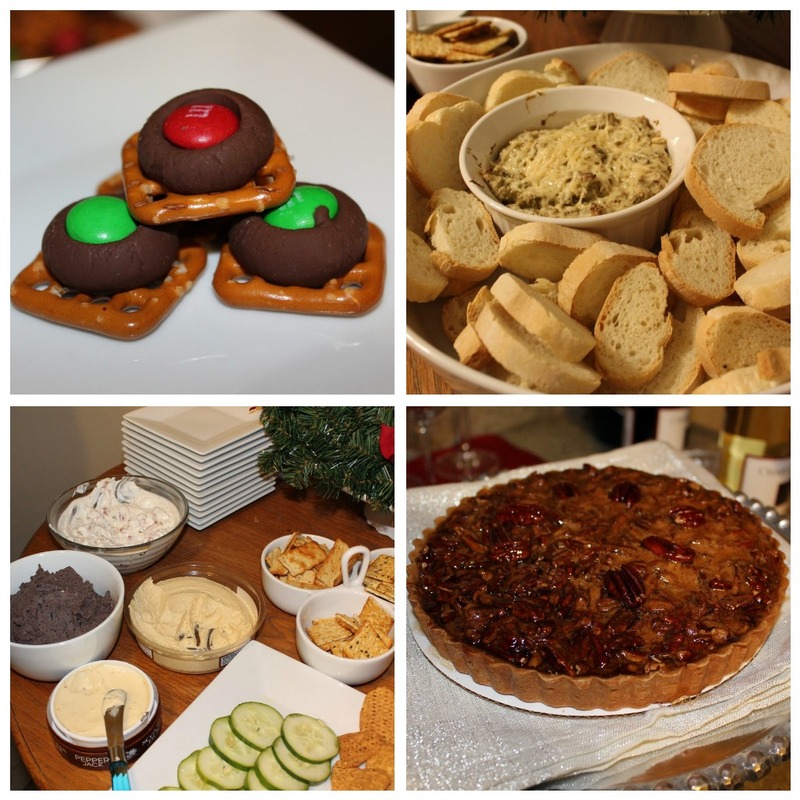 I'm going to a cookie exchange on Friday night with some girl friends and I can't wait! Awww looks like you lovely ladies had a blast! You guys are all presch! That first picture should be framed! 🙂 Love us some TJ's two buck chuck. It's opened every week at my house! I ain't ashamed! You girls are always having soo much fun! You look soo beautiful and happy Christina! Looks like SO much fun!! Looks like y'all had a blast! This sure looks like a FUN event! Aren't girlfriends the very best?!?! 🙂 The ornament looks so cute too! What a sweet gift. that wine party looks like a ton of fun. and what a beautiful group of friends you have! Looks like such a fun party! Love that wedding-invite ornament. 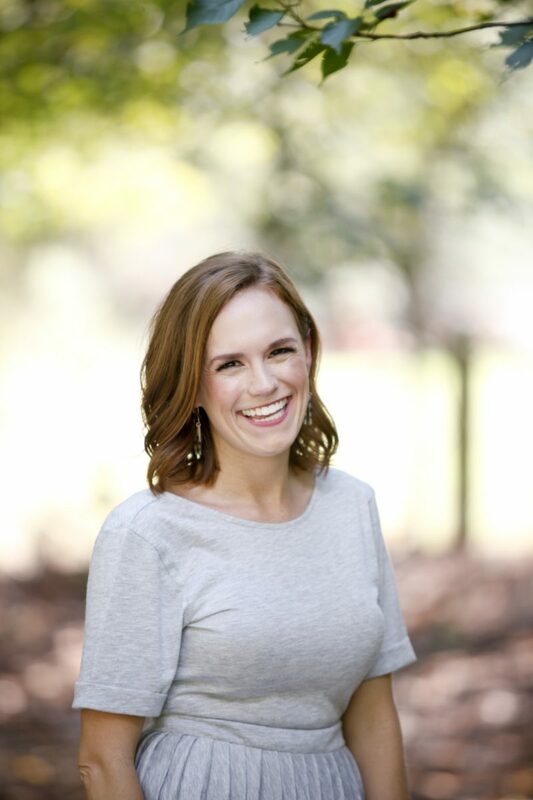 You have such a fun blog, so excited Jessica told me about it! Cant wait to read more! I'm here in Charlotte as well! This looks like so much fun! Too bad I live so far away! This looks so fun! And I love all of your 'wine gadgets'! 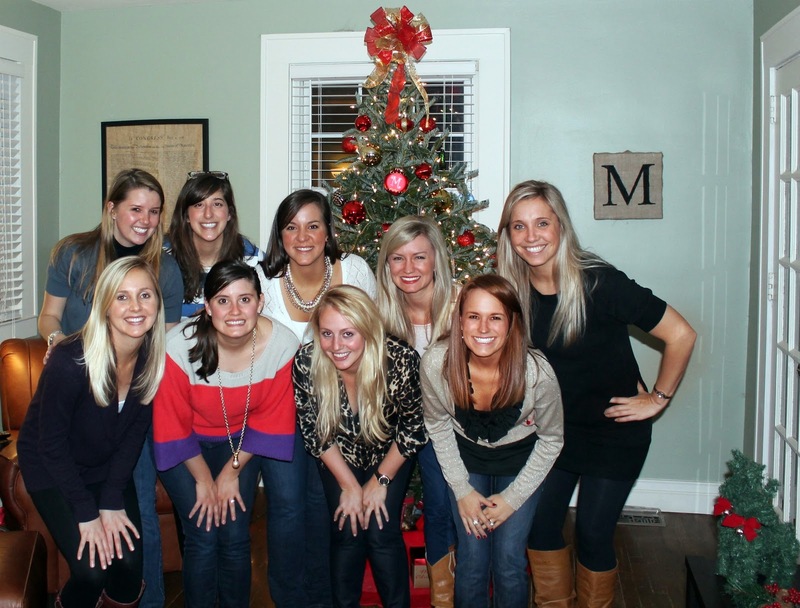 It seems you have a great core group of girlfriends! Looks like y'all had a fun time!